Are you looking to extend your family’s living space? 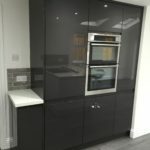 If you have just purchased your property or are a long-term homeowner looking to transform your home and add additional space then we can help. 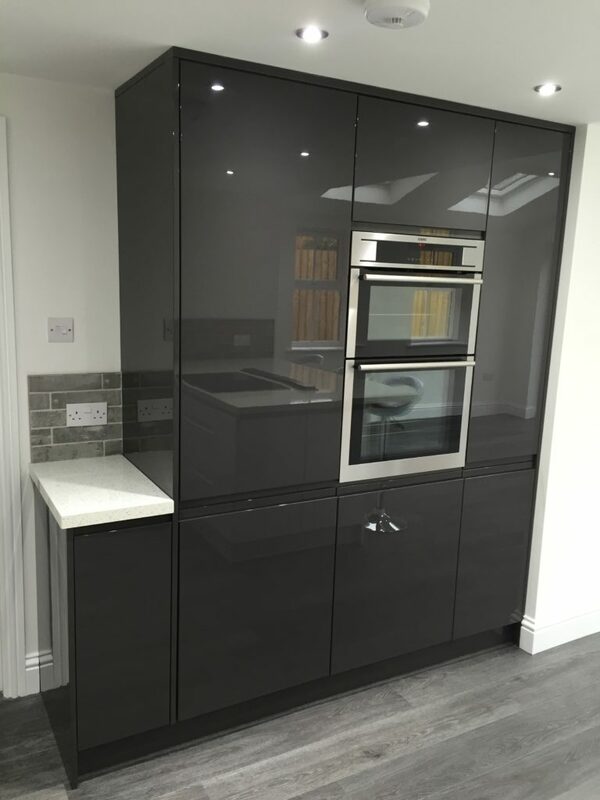 We can build beautiful kitchen/family rooms or if its just extra bedroom space you need then get in touch. 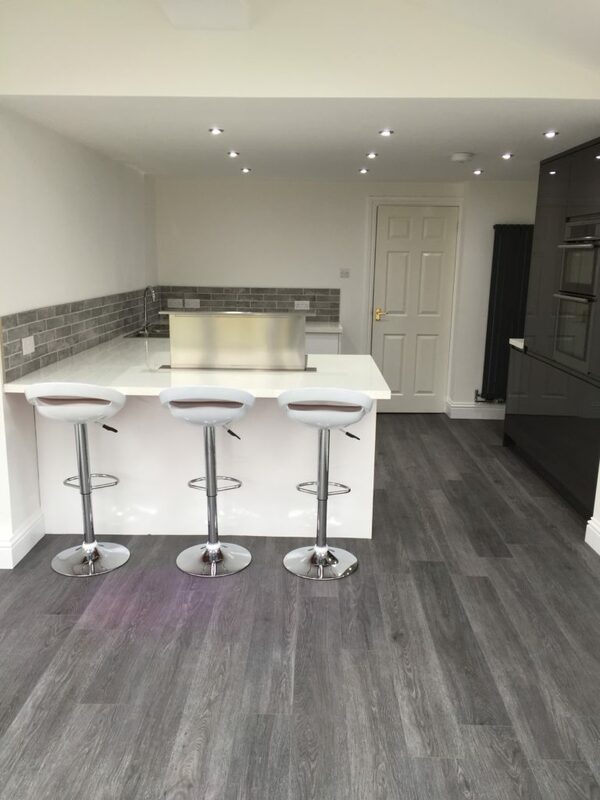 Intex Property can help you with your project from the initial design through to the completed build. 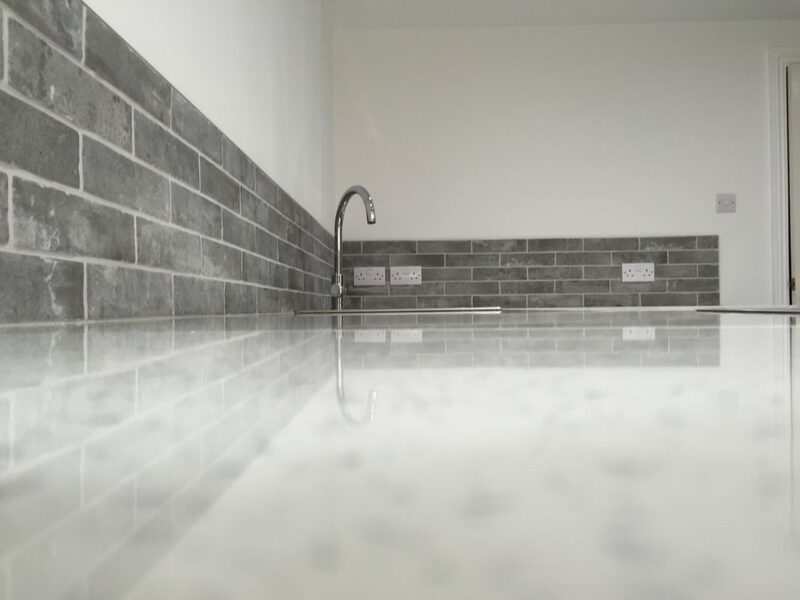 We employ only the highest quality tradespeople to bring your dream home to reality. 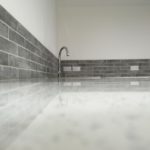 All of our work is carried out by our highly skilled tradespeople, from the foundations through to the painting and everything in between we cover everything, so you don’t have to worry about contracting various tradespeople to complete your dream extension as we take the hassle and stress away from this. 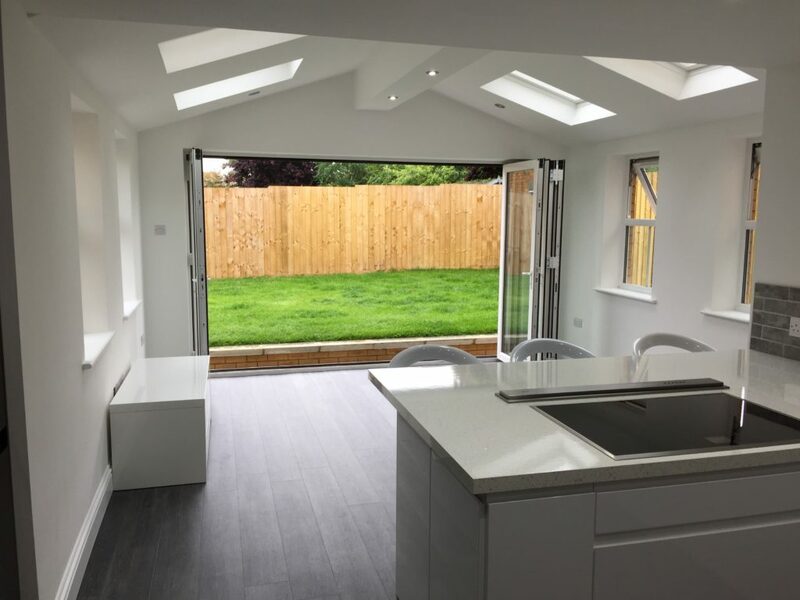 If your extension has a kitchen or bathroom installation in we can also help with design and build of this, using our extensive range of kitchen and bathroom suppliers we are able to complete your extension build into the dream home you have always wanted. 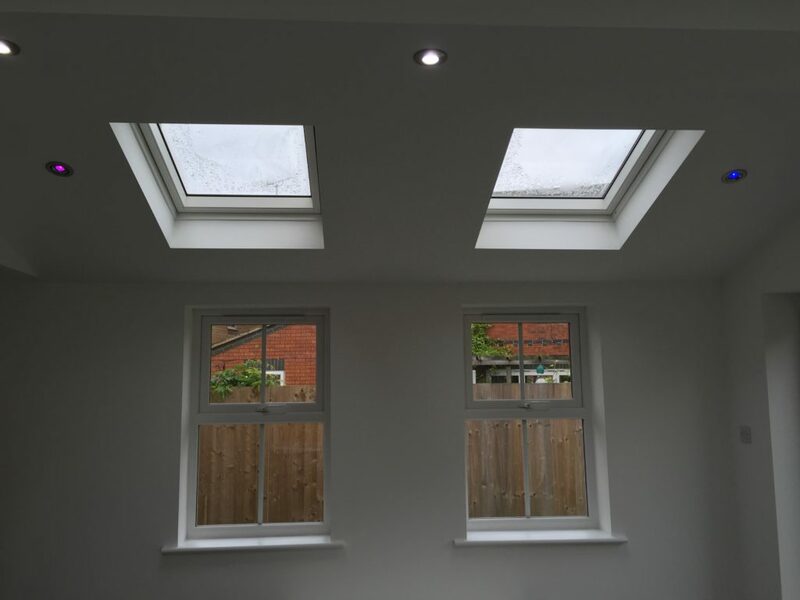 Most of our extension works require some sort of internal remodelling and re-design which comes complete with our internal refurbishments. 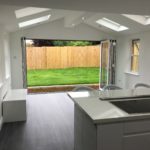 All extensions require some form of plans and structural drawings, we have strong relationships with architects and designers who can produce detailed plans and drawings for us to work with on your build. If you have already instructed architects/designers we are more than happy to work alongside these in creating your dream extension. We are also happy to carry out the relevant building applications to local councils so you can rest assured you have the necessary applications to make your build stress free. 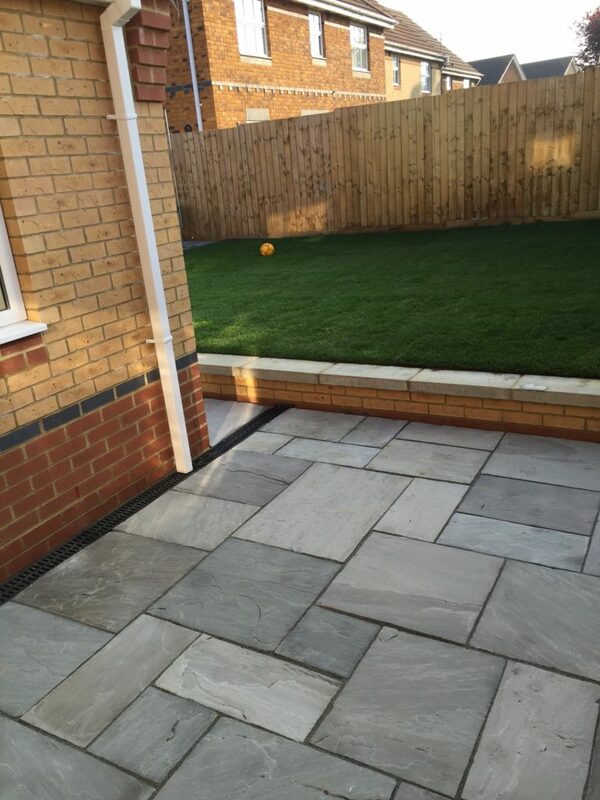 We cover all of Northamptonshire and Bedfordshire so if you are looking to have an extension built or just want some general advice then please get in touch with us. 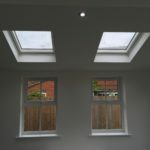 Job description: An existing conservatory structure was removed to make way for this kitchen family room extension, light was key here and you can see there is plenty of light with 4 x velux windows, massive bi fold doors and 4 windows, the room is connected to the kitchen so is a great place for all the family to get together and entertain. 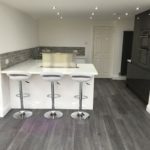 The kitchen is 2 toned in Gloss grey and Gloss white which complement each other brilliantly giving the whole room a modern contemporary feeling. 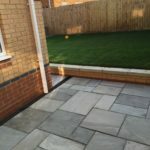 Other works carried out were external landscaping and fencing. Upstairs Extension and complete kitchen redesign. Single storey extension (including structural work to the rear of the existing house), new boiler, kitchen fitted. 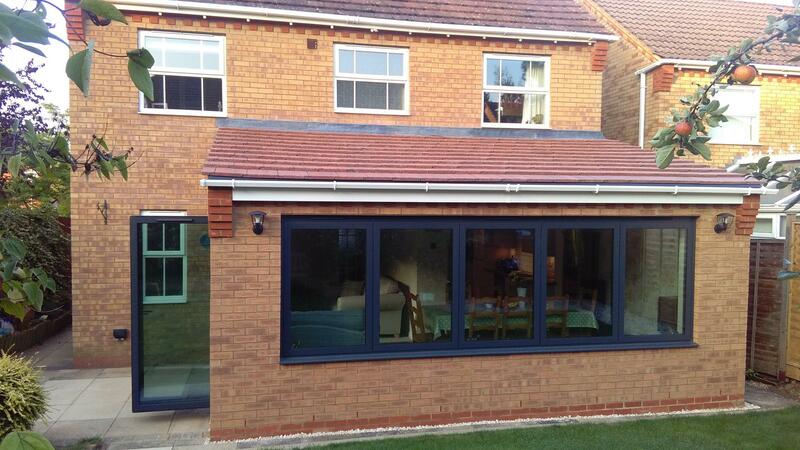 Extension built including demolishing existing building.